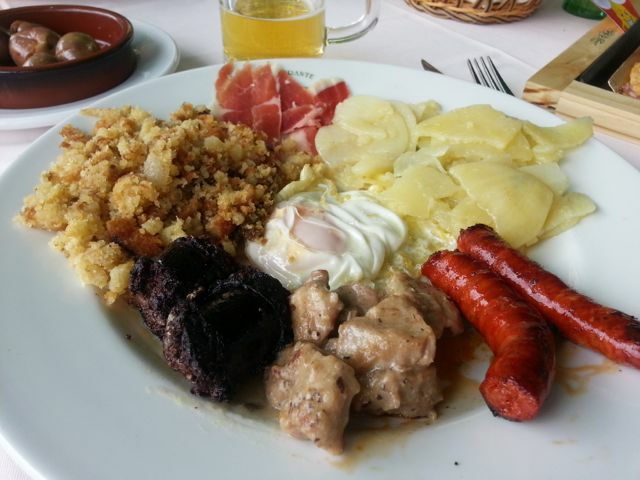 Spanish Christmas Quiz : How Much Do You Know? 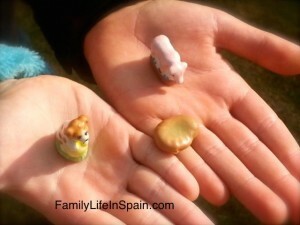 The next in our @FamilyinSpain ‘s Quiz About Spain series is our Spanish Christmas Quiz. 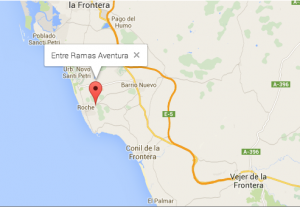 We are going to help you learn more about this wonderful country where we have chosen to make our family home. 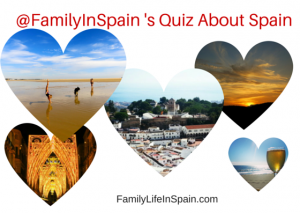 This is a fun way to test your knowledge about Spain and to learn more. If you have any topics you’d like us to cover, just Contact Us and we’ll be happy to oblige. 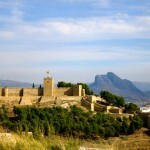 Do you have a quiz about Spain that you’d like to share with our readers, please send it in and we’ll post it for you. 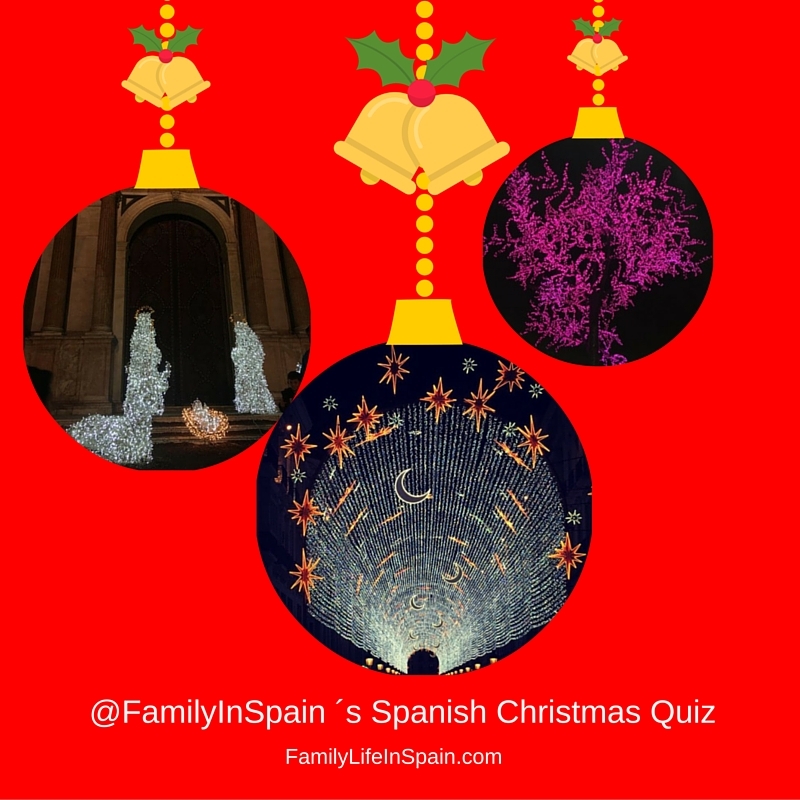 Ok, let’s get this Spanish Christmas Quiz on the road … Scroll down and click the “Get Started” button below! Woo hoo! It’s finally here. 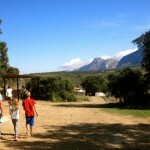 The first day of our twelve week long school holidays in Spain. We’ve been waiting for this day for what seems like ages. As crazy as it may seem, we know these holidays are going to be over before we know it. We have so much planned. So much to be enjoyed. 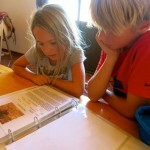 Many people are shocked when we tell them that the children have twelve weeks of school holidays in Spain in the summer. So, what do we have planned this year, summer 2015? As I said at the beginning, today is day 1, it’s Tuesday 23rd June 2015. 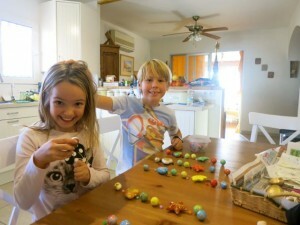 We have 3 months, 12 weeks, 78 days of holidays and family fun ahead of us. 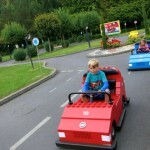 I’m writing this post, sat in our VW Transporter, with hubby at my side at the wheel, the children in the back, Joshua, Francesca and Mika (our football playing, trampoline jumping, German Shepherd). The boot is jam packed with tents, scooters, games, beach gear and far too much camping stuff. It’s amazing how much you pack just because you’ve got the space, isn’t it? 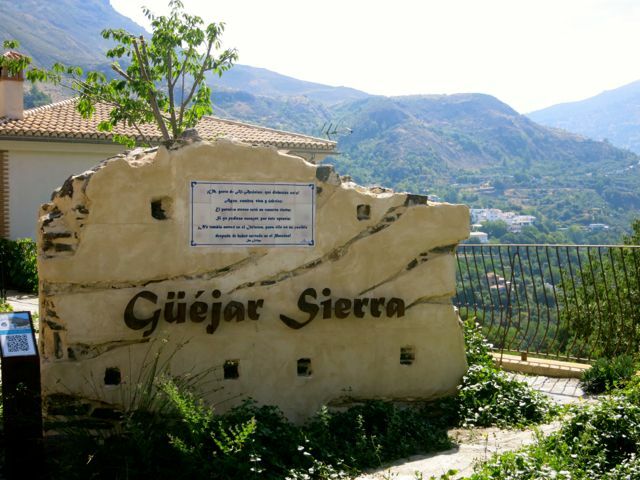 We’re leaving the 30ºC heat of the Costa del Sol and heading towards the stunning scenery of the Sierra Nevada in Granada. 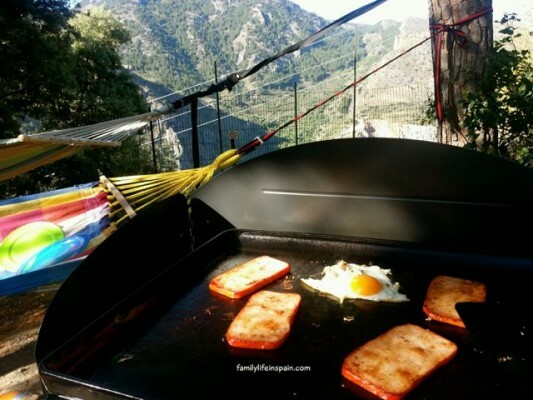 We’d originally planned to head back to our favourite campsite in Tarifa, but as we already have a delicious 5 weeks of bohemian beach living already booked in Cadiz this summer, we opted for a change of scenery to start off our 2015 summer holidays. As much as this is an exciting time, it is also a slightly sad time in our lives here in Spain. A time of unexpected change. 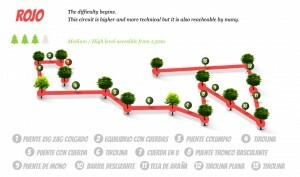 In the Spanish state colegios, students often have the same seño for 3 consecutive years. However, due to an unusual placement allocation system, it is not unusual for teachers to be moved to different schools at any time. 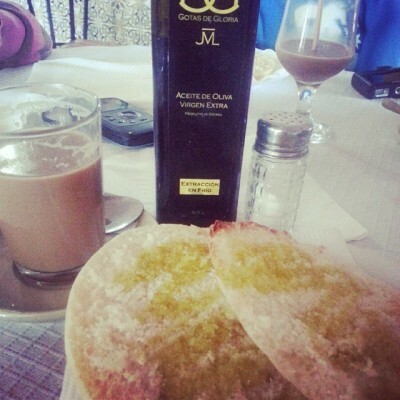 Mari- Tere is from Alhaurin. She applied for a position in her home town. She got it. She’s going. And that is that. 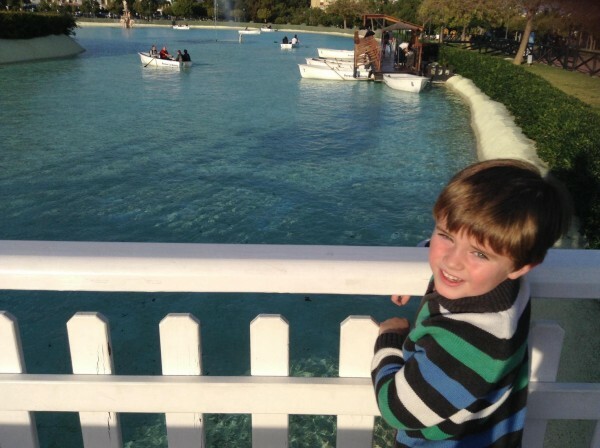 On September 10th, Joshua will enter his final year at our beloved CEIP San Sebastian. Eeeek! 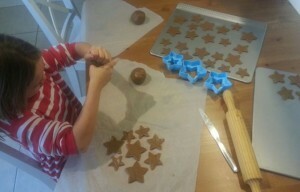 We will be making decisions about his future education. Will he continue in the Spanish state system, change to private or manage to secure a place in our first choice which is a colegio concertado? 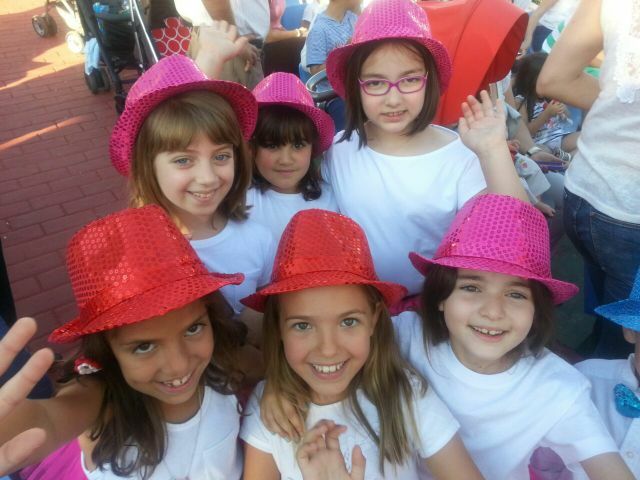 On September 10th, Francesca will state 3º with a new seño. On September 10th, I, mum, won’t be in Spain. I’ll be in London, preparing to spend 2 days talking to families considering moving to Spain at The Expat Show – Living & Working Abroad. Oh, and work? Did I mention that? 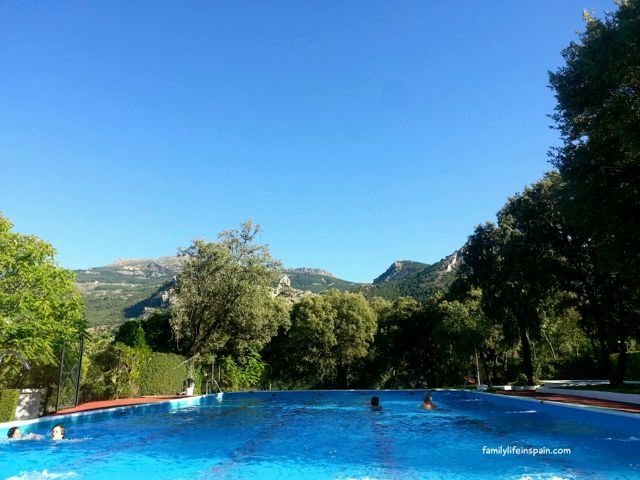 As we are “lucky” and in a fortunate position to work for ourselves, we let all our lovely clients know that we are closed for our 3 months, 12 weeks, 78 days summer holidays. We check in from time to time and meet up with the odd person, but we are basically on skeleton cover until mid September. 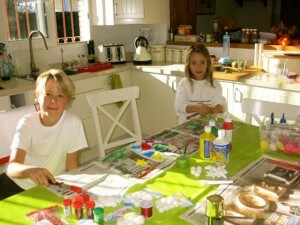 After all, that is one of the many reasons they too want to come and enjoy their own family life in Spain. Have a fantastic summer! ¡Felíz vacaciones! 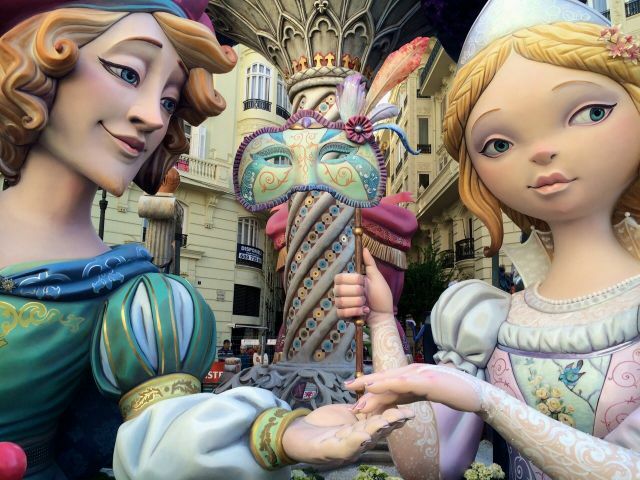 The Fallas Valencia fiesta is one of the crazy Spanish traditions and festivals that we are really keen to experience for ourselves. 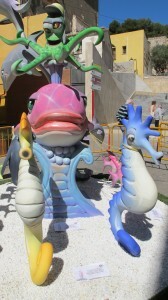 Stunning and intricately designed statues are designed, built and then literally set fire to, in the streets. 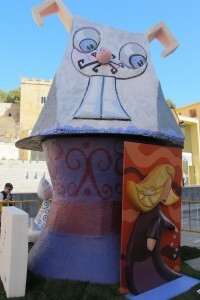 I’ve heard the rumours about Valencian politicians so-called “burning money”, but there is no secrecy to this festival. It takes place in full public view. 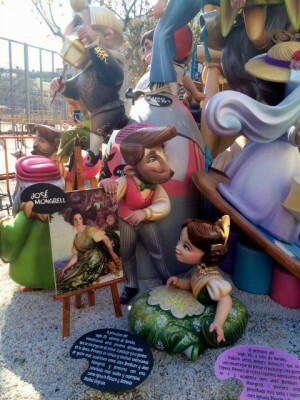 As we have not yet managed to visit the Valencia Fallas for ourselves, we have invited the lovely Sarah from My Destination Alicante to tell us little more about this fiery tradition. 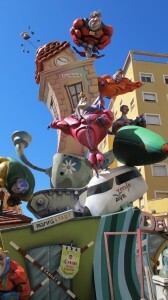 Valencia is a noisy city at the best of times, but the bar is raised even further during the fiery Fallas Valencia Fiesta in March. 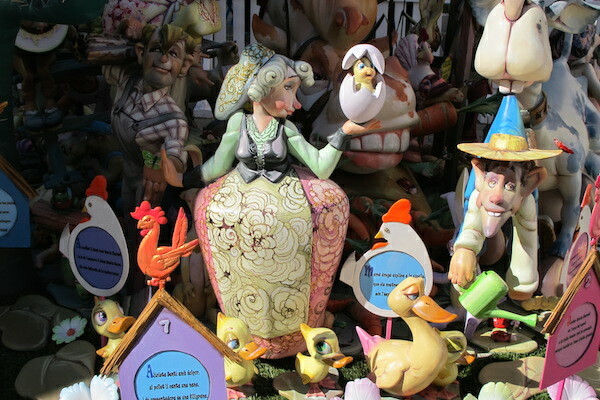 For a few days leading up to St Joseph’s Day, on March 19th, the streets come alive with satirical, colourful statues standing several storeys high. 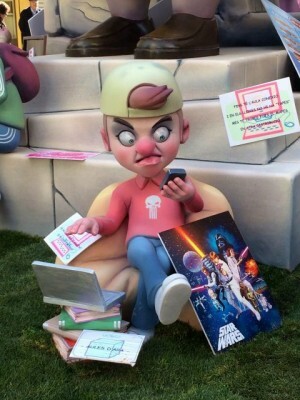 Some are poking fun at celebrities and politicians, others look like gigantic cartoon characters while a few will be making a political statement. 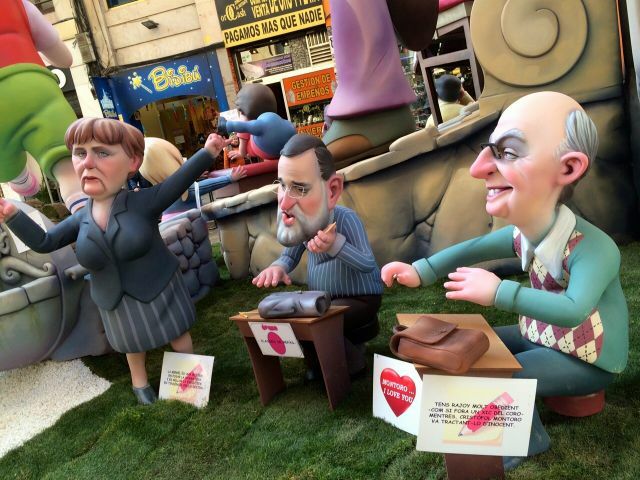 These papier-mâché statues take all year to build and cost €100,000 or more. But, come St Joseph’s Day, they will be set alight with just a pile of ashes remaining. Thousands of spectators gather as each statue is burnt in turn. 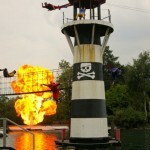 The ‘elf and safety brigade in the UK would be having a blue fit by now. Not only are these giant statues set on fire close to thousands of revellers and near to high-rise buildings, the ceremony also takes place in the middle of the night. 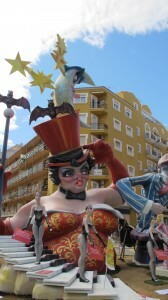 It’s a fabulous fiesta and a great money spinner as tourists head to Valencia each year to enjoy a walk around the statues, called ninots, to stop off at a few bars for a quick refreshment and dance along to the bands leading the parades. The women are dressed in elaborately-embroidered dresses with hairpieces which look similar to Princess Leia’s hairdo in Star Wars. 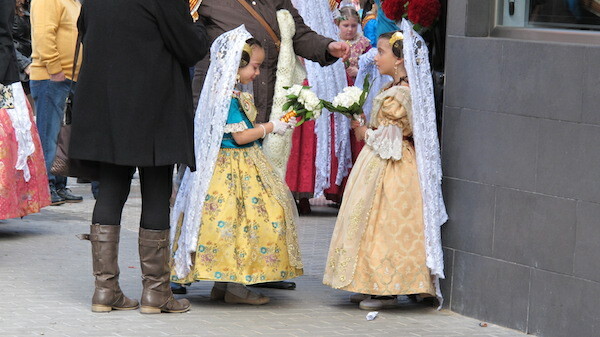 The dresses are very heavy and the women – and little girls – wear them from morning to night during the fiesta. Another wonderful part to the fiesta is the mascleta. 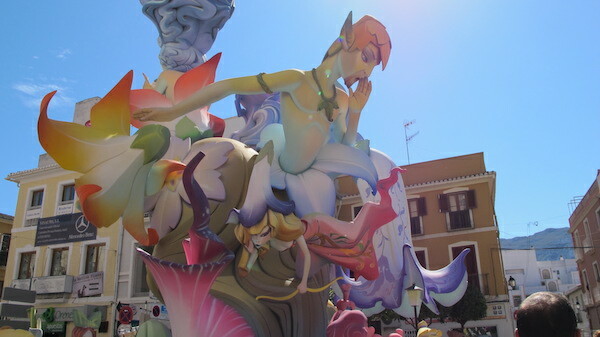 Twice a day, thousands crowd into the Plaza del Ayuntamiento (town hall square) to see and hear one of the most important events of the fallas. It’s an incredible show of firecrackers which are let off in sequence to make a thunderous noise, together with the powerful smell of gunpowder and smoke filling the square. 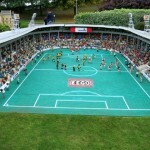 It can reach 130 decibels or more with the whole square seeming to vibrant. The windows of nearby buildings can certainly be seen to be shaking. 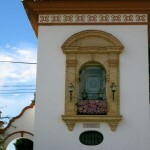 The fiesta heralds the start of Spring. It hails from humble beginnings in the Middle Ages when the carpenters burned off old bits of wood and furniture during their Spring cleaning. They then started to carve little statues and dress up the sticks before burning them. The statues became bigger and better to turn into the fun festival we know today climaxing on St Joseph’s Day, the patron saint of carpenters. 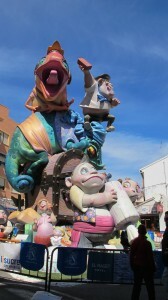 Valencia is the best place to see the fallas fiesta but other towns also take part including Gandia, Denia and Benidorm. 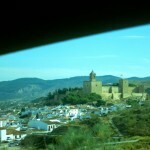 Sarah Farrell is a journalist living in the Alicante region of Spain. She also runs the My Destination Alicante – www.mydestination.com/alicante – online travel guide and takes HD 360º virtual tours for Business Streetview to be included on Google Maps. 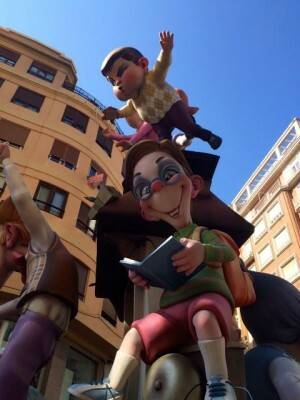 Graham, our colleague at Spanish-Property.net sent us these great pics from the 2015 Fallas Valencia. Which one is your favourite? When our children were born, we felt it was important to return to the UK for Christmas once every two years, so that the children could celebrate it with our families. 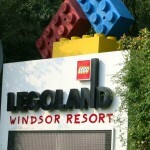 However, we didn’t want them to think that Christmas had to be spent in the UK to be fun. 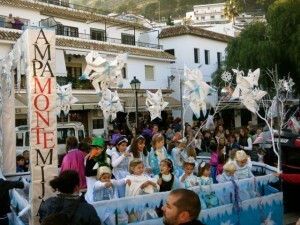 Luckily, in recent years, Spain has embraced more Christmas traditions so it is easier for us to make it fun for the children. This year we should have gone back to the UK and yet we opted to stay home. Our home is here. 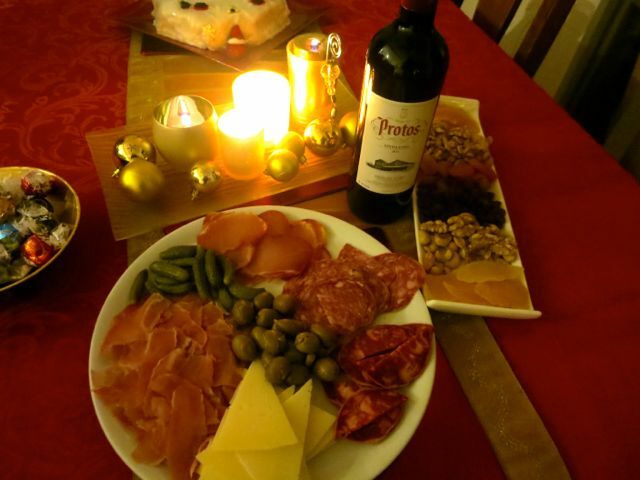 On Christmas Eve, we enjoy our own Spanish-style Christmas. We always buy a full 5 to 6kg Serrano ham which is sliced and served until there is almost nothing left on the bone. (See our Sopa de Picadillo recipe, one of our children’s favourites, where we use the leftover bone to make stock for this scrummy soup). 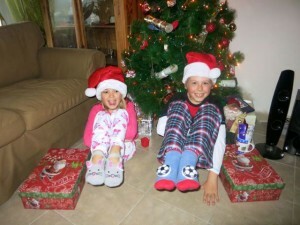 In previous years the children opened one present on Christmas Eve, as is traditional with some Spanish children. 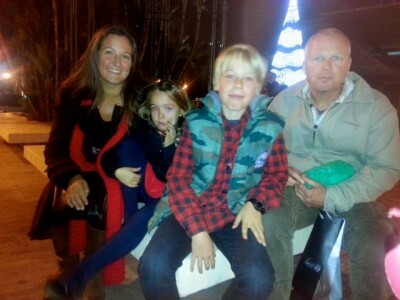 However, this year we have added a new Family in Spain Christmas tradition. 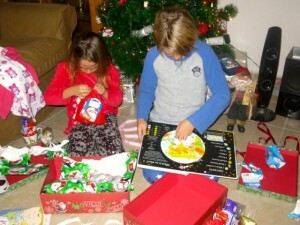 This year we’ve prepared a special Christmas Eve box for them, as a gift from Nana. This year the box contained a pair of pyjamas, some socks, chocolates, a Christmas mug with a selection of hot chocolate drinks and a book. They loved it! This is our way of spreading out the gifts and helping the children to appreciate each gift they receive. Ready. Steady. Go. Do not stop until the last gift is opened. You never know what is in that last box … the last box is the focus. We enjoy a cooked breakfast with a glass off Bucks Fizz , then I’ll spend most of the morning cooking a traditional roast meal followed by mince pies, pudding or christmas cake. The main meal is almost always a turkey with all of the trimmings. For our Christmas dinner ideas I usually rely on Jamie Oliver magazines. We are lucky where we live as the foreign supermarkets over here, such as Iceland, stock most typically British festive ingredients, although I often have to improvise. 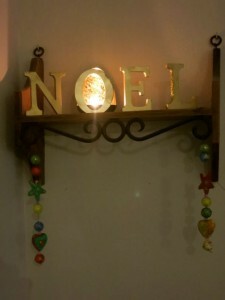 This year we spent lots of time making things for the festive season. We will share our recipes for homemade: mince pies, christmas cake, ginger biscuits, chocolates, truffles and lots of decorations. 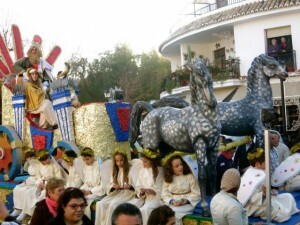 The Ten-tacion Belen in Malaga plaza! 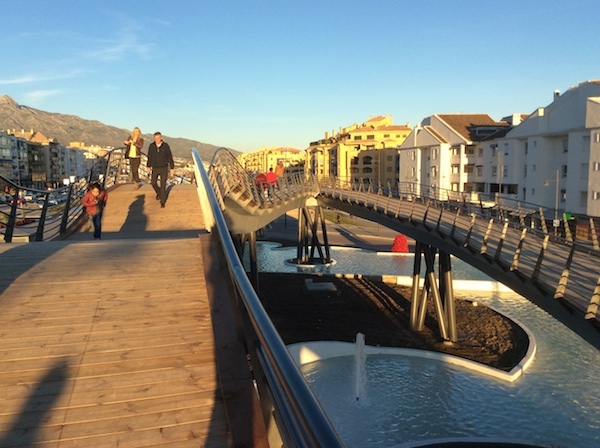 This year, 2015, Malaga surpassed itself. The nativity scenes and festive lights were amazing. People flocked from far and wide to see them. We also love the Panto season. When we are in the UK, with my husband’s family, we go to High Wycombe with all the cousins. 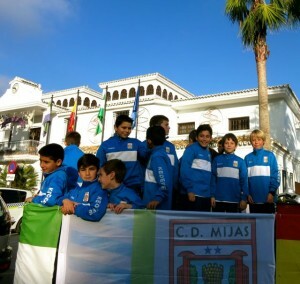 When we stay in Spain we go to Malaga Capital. Last year we enjoyed a show by Cirque du Soleil in Malaga and this year we went to see Pinocchio performed at the Cervantes Theatre in Malaga Capital. It was magical. One of the most memorable Christmas pantos we saw, in Spanish, was the Wizard of Oz. 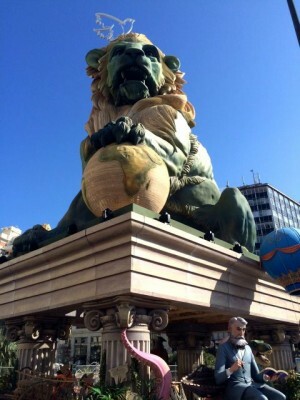 During the show, the lion spontaneously broke out singing Spanish flamenco (the traditional Spanish custom style of singing) and proceeded to skip down the yellow brick road, in full voice, with Dorothy, the scarecrow and the tin man! 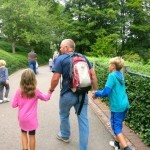 As the children grow older it is sometimes a challenge to keep the story of “Santa” alive. Is it important? 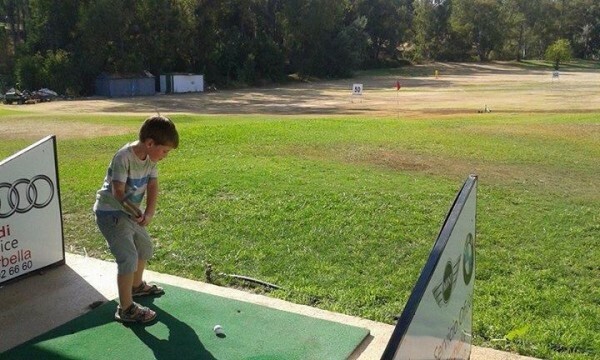 I don’t know but I just imagine the discovery that he doesn’t really exist would be quite a blow to a child. As a result, I’m always looking for fun activities to keep the Santa Claus story alive. 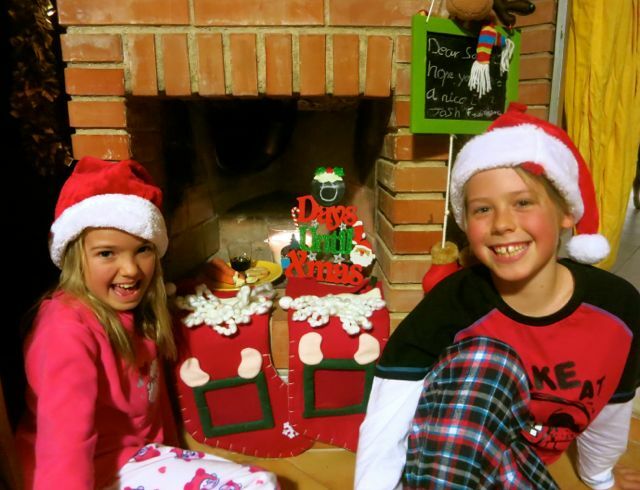 Wherever we are, the children leave a note for Santa and their stockings on the chimney. A plate with a carrot for Rudolph, a mince pie and a glass of PX sherry for Santa sits by the chimney too. I always order the PNP santa message to be delivered to the children, adding an upto date photograph and something personal that not many people would know. The ability to track Santa online nowadays also makes his existence more of a possibility for Joshua, our 10 year old. We often discuss how it is possible to deliver so many presents to so many children in so many places. 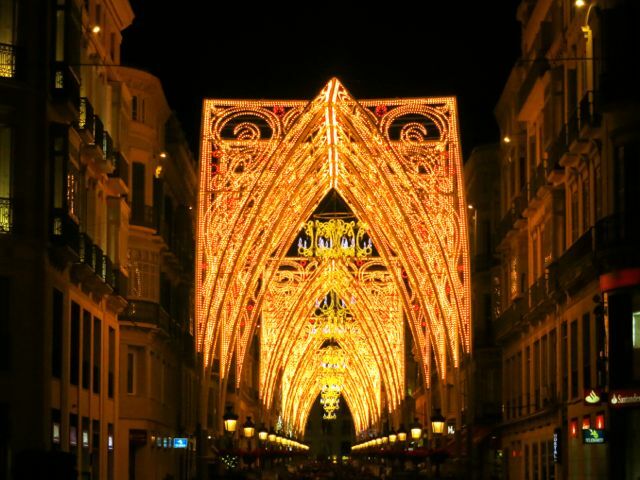 We then celebrate again on the 5th and 6th of January, which is called Los Reyes Magos (Three Kings). 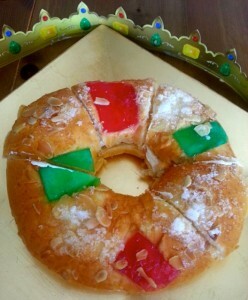 This the day that Spanish children most look forward to during the festive season. 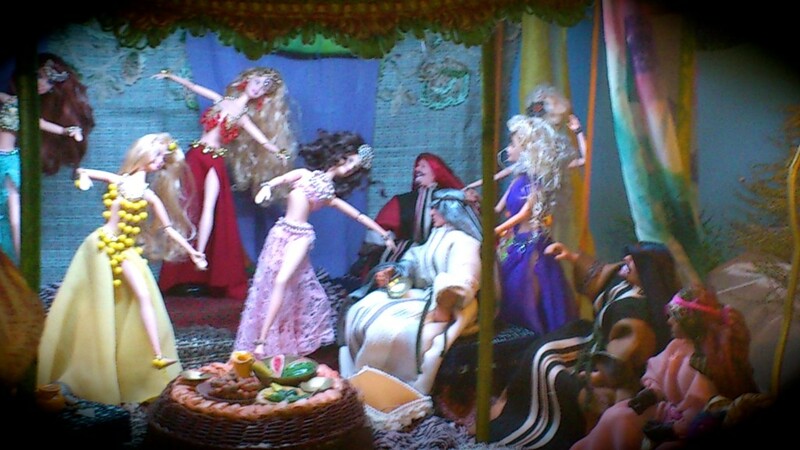 This evening “Los Reyes Magos” will deliver them either gifts or coal, depending if they have been good or not. 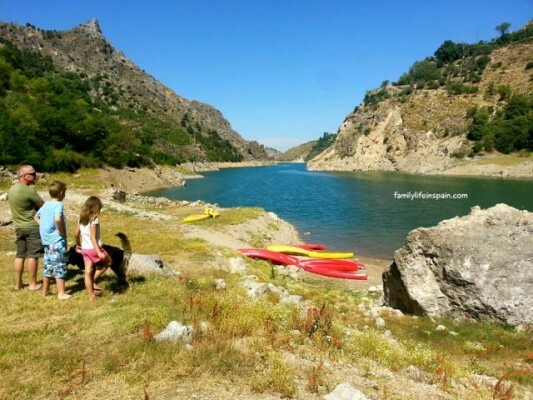 It’s all fun and it’s all part our our Family Life in Spain. This year was extra special for us as our son, Joshua, was on one of the floats with the village football team. Not 1 but 2 lucky charms! 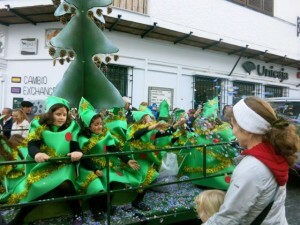 The children love the festive season here in Spain because they get to enjoy the best of all of the traditions. It’s not quite the same as back in the UK, but it’s our version of Christmas and we really rather like spending Christmas in Spain ! Here’s to getting back to normality after almost 3 weeks of festivities … 2014 was a great year and we are excited to see what 2015 has in store. 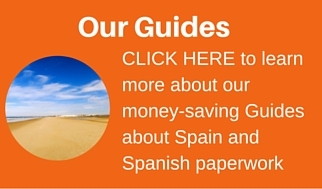 If you’re planning how best to use up your holiday entitlement in 2015, or simply trying to work out the most economical times to travel, then you’ll need to take into account the dates for Spain public holidays 2015. 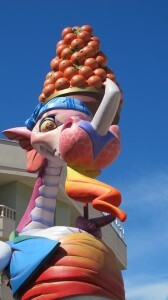 In Spain there are national holidays, regional holidays and local holidays. The dates on which the national and regional holidays are to fall are communicated each year via an Official State Bulletin or BOE (CLICK TO ACCESS). Among other regulations, this Bulletin specifies which of the national holidays are obligatory and which are optional on a regional basis, as well as defining the rules surrounding those days which can be celebrated the following day in the case when the holiday itself falls on a Sunday. Don’t forget that most towns in Spain will also have two local holidays per year when they celebrate their feria and Saint’s day. 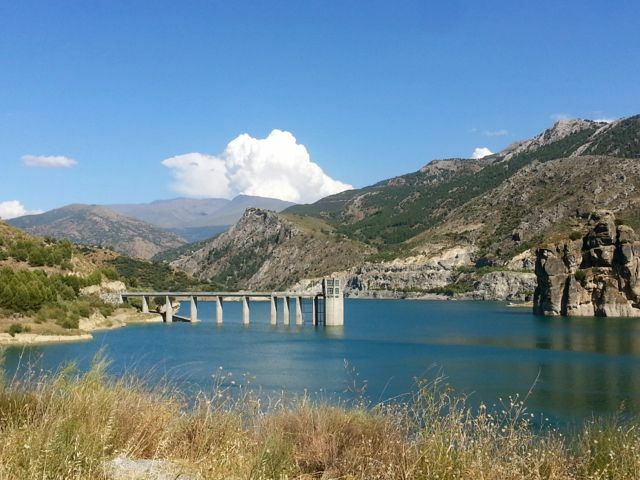 You can find out more information about these days on your local Ayuntamiento website or by checking the Calendario Laboral for your town on Seguridad Social’s website (CLICK TO ACCESS). 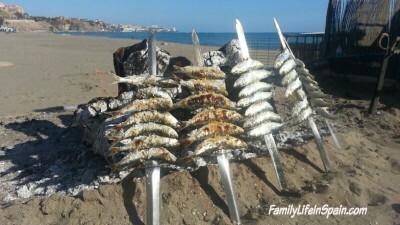 If you look at the dates for Spain Public Holidays 2015 noted for your area (below) you will see that each of the Spanish regions adds a further three or four days to these obligatory national holidays, especially at Easter when it’s usually two holy days which are observed. 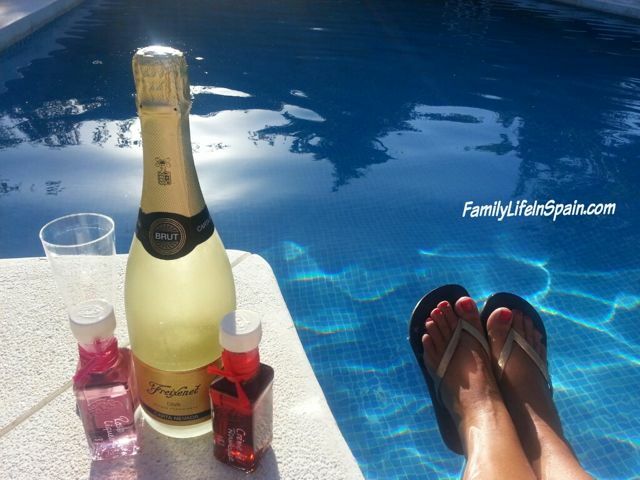 So, there you have the list of Spain Public Holidays 2015. 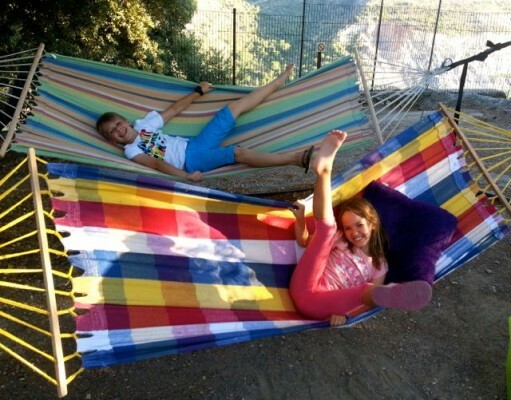 Don’t forget you can check the School Holidays for the academic year 2014 2015 in Andalucía, HERE. 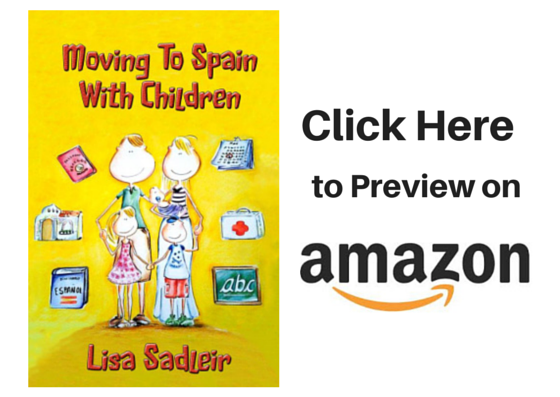 Have you grabbed your copy of our book about Moving to Spain yet? 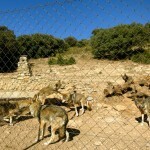 This weekend we revisited the wolf park in Antequerra, Malaga. Our last visit was over five years ago when the children were very young.That visit was cut short as the heavens opened and the torrential rain fell for hours, making visibility almost impossible, especially with a baby buggy! This time, even the weather was on our side and a great time was had by all. The grounds of the wolf park and the surrounding countryside are simply stunning. 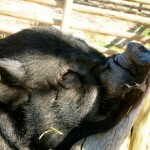 The staff are very passionate about all the animals and the way they talk about them demonstrates this. The talks and explanations given throughout the visit highlighted the ethos and mission behind the foundation of this centre. 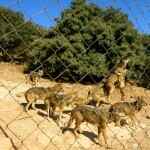 Since the beginning the main focus of the work in the Lobo Park has been the research of the social behaviour. This area has been treated either with very little attention or to a certain extent very amateurish. The fact is that it is very difficult to observe wolves in the wild over time leads to the consequence that most studies on wolves and their behaviourism are done with wolves in captivity. The way wolves have been and are still being kept in captivity de-socializes the animal to a great extent. All well known ethologist went too far in the way they keep the animals and “domesticated” them more than it would have been good for research and for the animals. The “domesticated” wolf shows his natural behaviour only very fragmented, wherefore it is completely absurd to even study these animals. This is similar to doing research on patients in a closed department of a psychiatric institution. 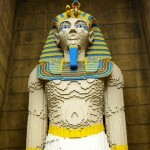 The obtained findings are hardly useful for a transfer to the whole of humanity. 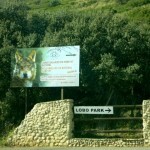 The wolves in Lobo Park are to a great extent being hand reared to take away the innate shyness of people. However we never interfere in their natural behaviour. The enclosures are very spacious (25.000m² – 35.000m² each) to ensure enough privacy for them. 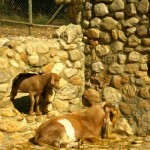 The animals’ show no stress behaviour and no human will interfere falsely or be dominant to these animals. 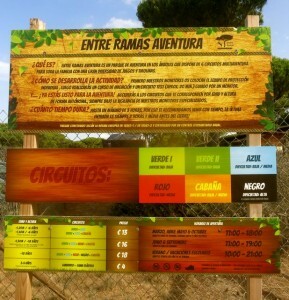 Since several years we allow scientists biologists, zoologists and ethologist to optimize their research in our park. 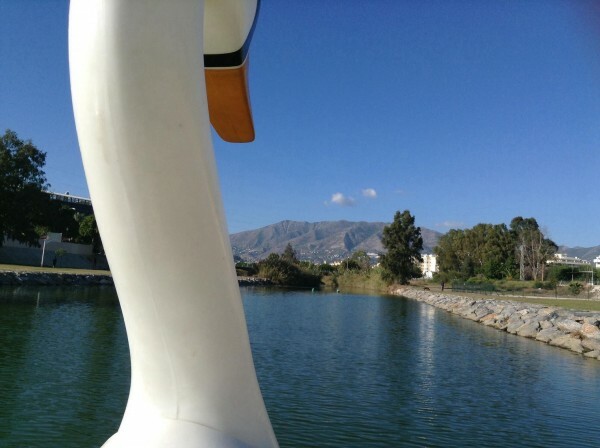 Petting Zoo … Have fun while you are learning and experiencing! 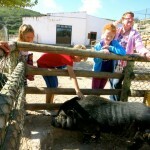 Our Petting Zoo is an interactive area where kids as well as adults can feed and also pet some of our friendliest animals. 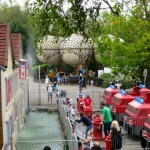 It was especially set in place for our visitors to get closer to animals and nature. The Petting Zoo will show you animals that share our daily lives, from companion animals and livestock to the wildlife of Spain. Where does the milk and cheese come from? How does a fox live? How many eggs does a chicken lay? And how does the wool of a sheep turn into a sweater? These questions as well as many others will be answered in an interesting and simple way. 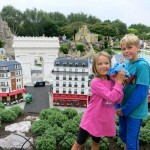 Take your time for this area – kids and as well as adults will have a lot to see and to experience! 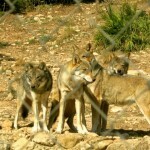 The guided tour (Spanish and English) with a wolf expert takes place several times daily. 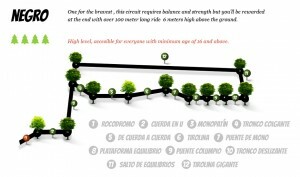 Here you have the possibility to learn more about these fascinating animals and get an impression of the complex pack structure of the wolves.The path features observation platforms, where visitors can enjoy a clear view and come into close contact with the animals. Your questions will be gladly answered. A highlight is naturally the feeding, which is always an occasion the wolves look forward to and impresses visitors again and again. It is important to understand that almost all wolves that you observe in the Lobo Park were raised with the bottle by the owners. This is necessary, in order to take to the wolf’s instinctive shyness of humans and ensure the possibility for stress-free observation by visitors. Since the wolves are accustomed to humans, they are not disturbed visitors and offer outstanding study possibilities of their social behaviour. 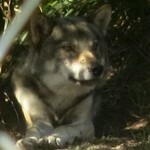 The wolves in the Lobo Park are socialized but NOT domesticated or trained. No human interferes with the social development of the pack therefore one can observe the natural behaviour in the enclosures. The enclosures, in which the wolves live, are generously laid out and integrate outstandingly into the existing topography. 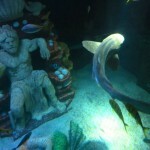 The animals have more than sufficient space for play, hunt and relaxation. Sunny spots alternate with shady places under the numerous stone oaks. Each enclosure has a natural pool with water cascades in which the wolves can take refreshing baths. – One can become quite envious. You reach the enclosures by a path, which leads you not only to the different enclosures but also to the individual platforms that offer you an excellent view of the wolves. 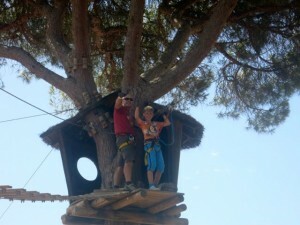 Special guided tours for groups, students and instructors are also offered at request. 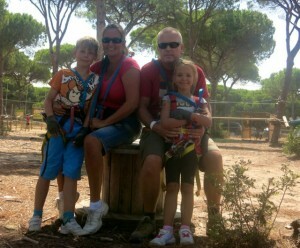 FAMILY IN SPAIN TIP: You cannot visit the Lobo Park by yourself. You must attend a tour. 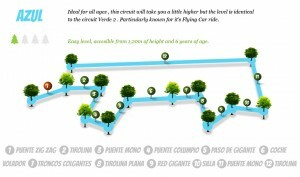 Plan your arrival time based on the tour you wish to attend. 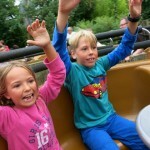 Arriving too early will mean young children are impatient and agitated before your tour begins! 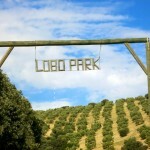 Since the Lobo Park is a private initiative it is also dependant on its income through visitors and their support. You can help the park by becoming a patron of one of the wolves. 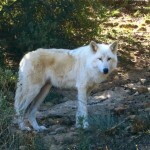 The Adopt-A-Wolf Program enables wolf lovers to make more substantial contributions to the preservation of our wolves. 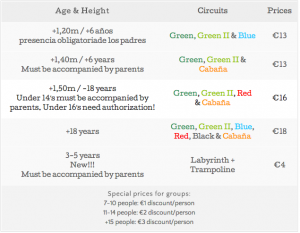 You can adopt any of the wolves per year for 80€ or 120 € for each wolf. 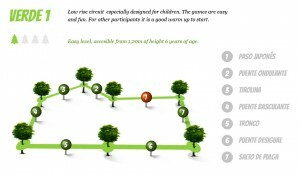 It is great fun (if you like that sort of crazy thing 😉 ) for both, children from the age of 6 years old, and adults. 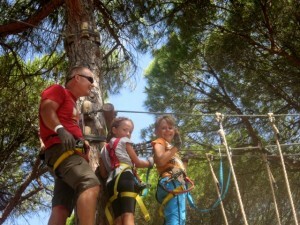 There are 58 obstacles, such as zip-wires, bridges, tarzan swings, hanging bridges, a flying car, a spider’s web and much more, divided into 5 separate circuits of varying difficulty, spread over an area of 18,000m2 of pine forest. The signs and monitors clearly explain who can take part on which circuits, subject to age and height restrictions. Upon arrival, we were allocated our instructor who spent time carefully explaining the correct way to wear and use our harness and anchor lines. 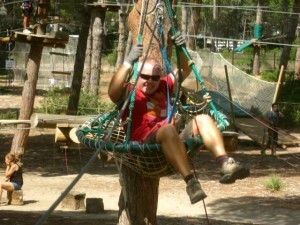 We must admit, we very impressed with the attention to detail and the ease of use of the equipment. 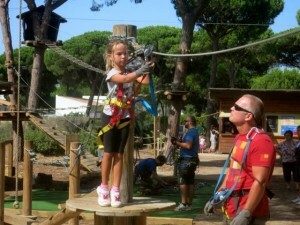 We had previously visited a similar park in Elviria, Marbella and the equipment there was not as easy to use. There are monitors around the park at all times keeping an eye on you. 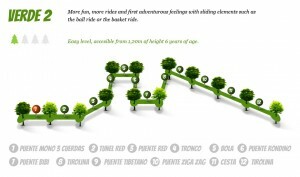 After their demonstration and test run on a specifically designed trail, you are then able to control your own individual safety equipment (harness and anchor lines), which enable you to move, completely on your own and in total safety across the bridges and obstacles located at different levels in the trees. 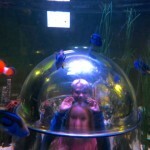 Even dad was having fun! 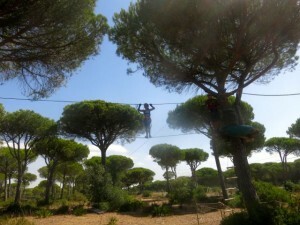 We thoroughly enjoyed our morning at Entre Ramas Aventura and will definitely return. It was lovely to see the children learning and working together to get around the different challenges on the circuits. Even though it was August and pretty hot, the trees meant we were almost always in the shade. So, what did we each think of the morning? 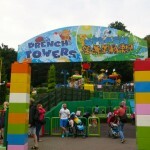 Joshua loved it and playing his role as big brother, did us proud! Dad didn’t stop smiling and is itching to hit the black circuit. 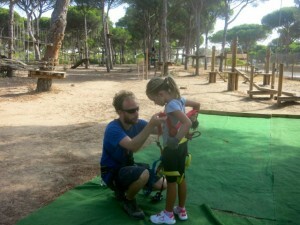 Francesca loved it and hopes to be big enough to enjoy the blue circuit next visit.